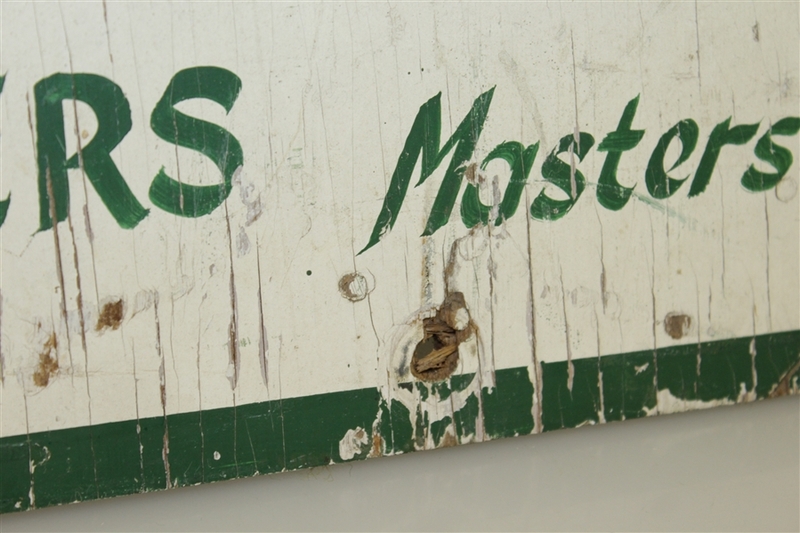 With the size of 24" x 18," there was hope that this sign would catch the eye of each patron to enter Augusta National for the famed Masters tournament in the 1960's. 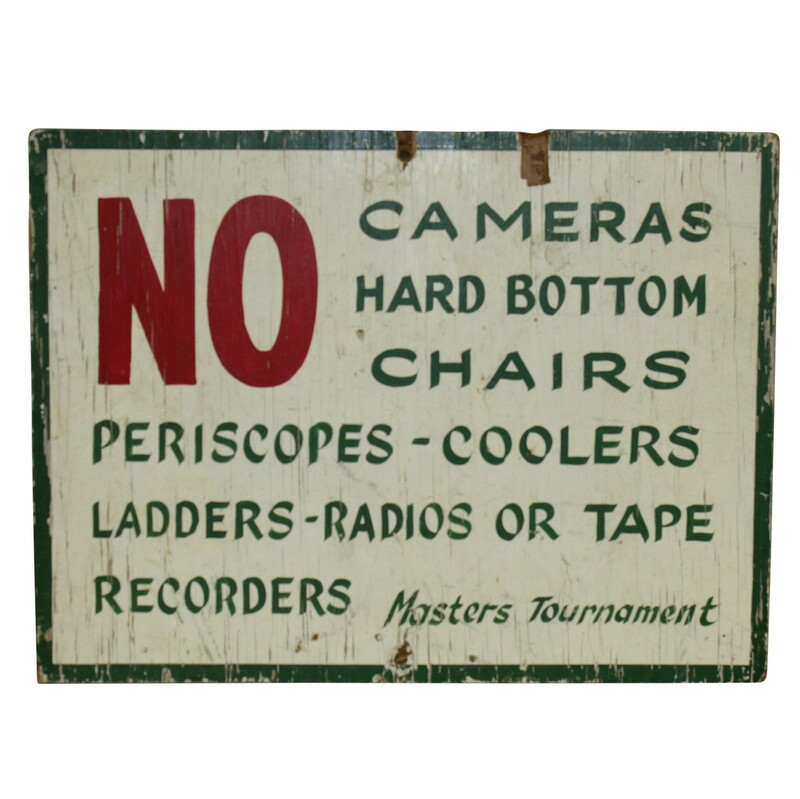 This painted sign articulates concerns that ANGC had regarding their patrons' behavior and usage of spectating equipment such as a ladder, periscope, cameras, radios or tape recorders. Along with any and all of the items listed on this sign, in 2019 cell phones, beepers and other electronic devices are prohibited on the four tournament days as they have been since the year each of those were invented. The Masters Tournament has always been known as the most formal of golf events and having a very proud "tradition unlike any other." In this lot is a piece of that history, being one of the rare club or course used signs that are offered for public consumption from Augusta National. 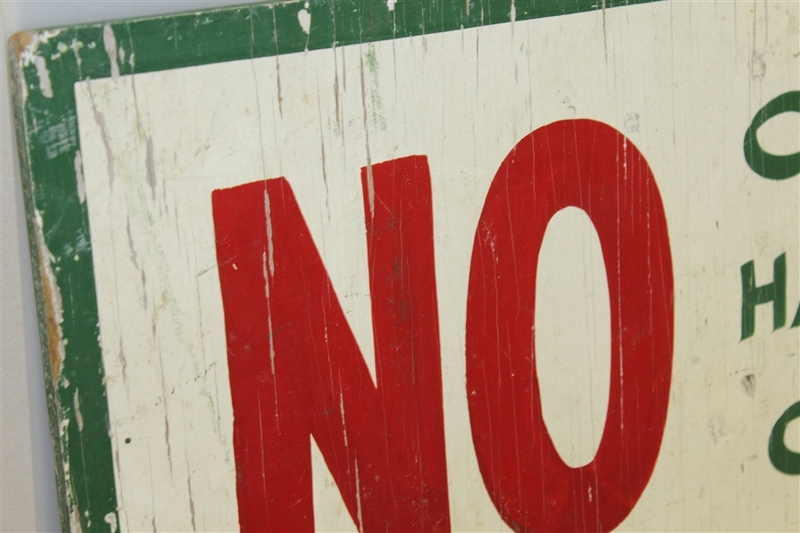 The content is appealing, considering the combination of age and messaging. 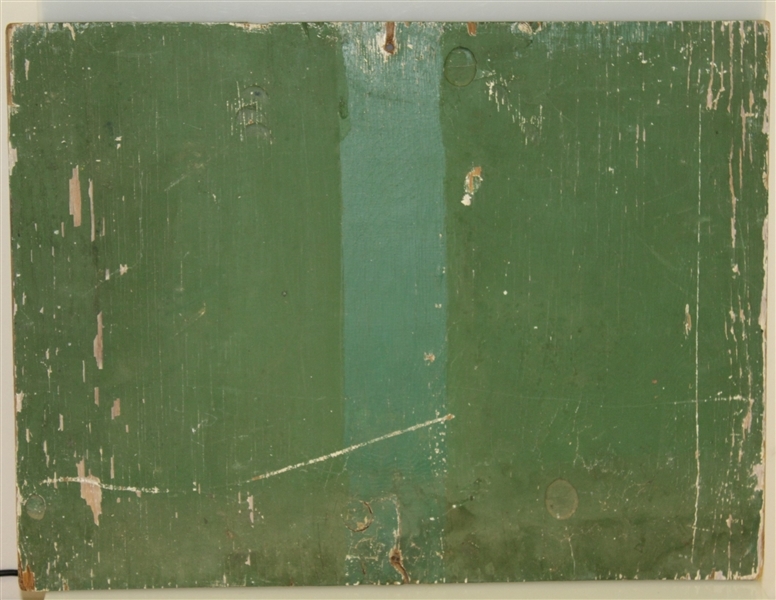 This sign has signs of continuous overall wear and weathering, but still boasts vibrant and dark colors including the forest green the club's logo was composed of at the time. 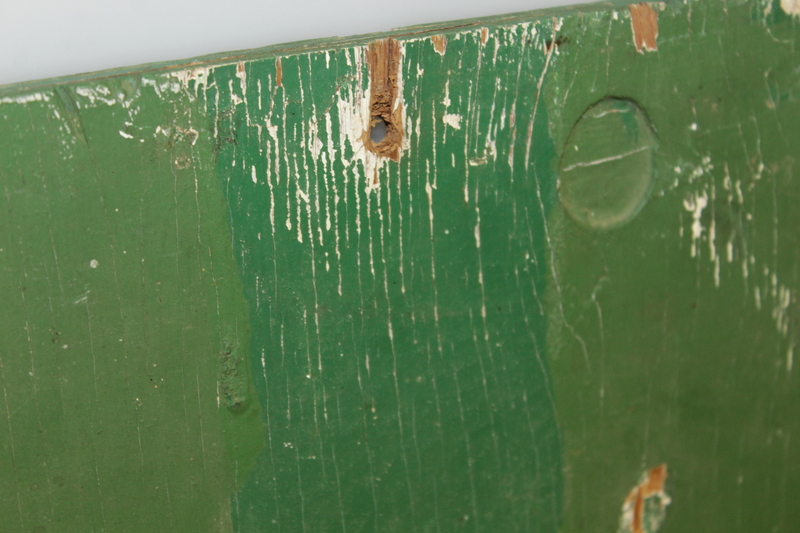 There are two holes for the center mounting on a single pole. The backside also has a green paint color change, where the pole was located. 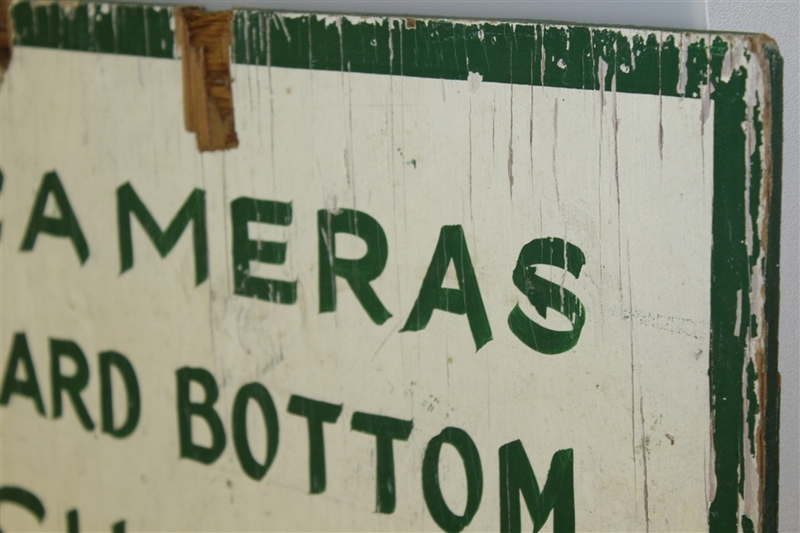 This sign presents well and will surely be a talking piece in any collection.